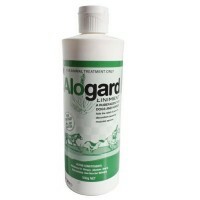 Aloe Vera Gel, an excellent product to use on manes to stop rubbing. 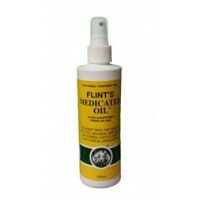 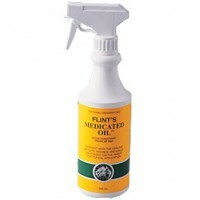 Excellent healer, good f..
Aloe Vera and Iodine Medicated Shampoo for Horses, Ponies and Dogs. 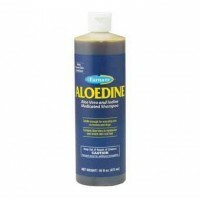 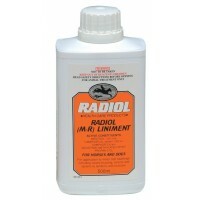 Regular use of Aloedine Medicat..
Alogard Linament aids the relief of pain and discomfort caused by muscular sprains. 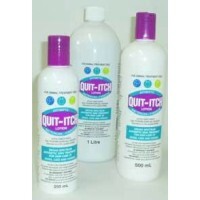 Non irritant – w.. 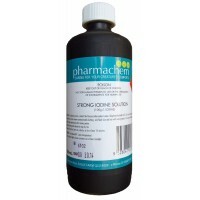 Contains Povidone Iodine 10%w/v 500mL bottleFor antisepsis of minor cuts and abrasions and the treat..
A non stinging anti microbial spray. 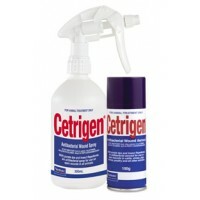 The product of choice for treatment of bacterial and fungal inf..
Cetrigen is a purple antibacterial wound spray, formulated for the treatment of superficial cuts and..
Chloromide is an antiseptic spray used in the treatment of topical infections and bacterial skin dis..
Herb. 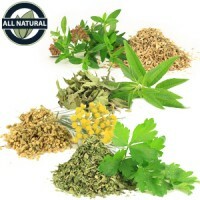 Used for healing, which is high in vitamin B12. 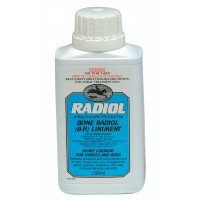 Very good for healing injuries to bones,.. 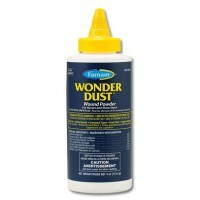 Enzyme wound spray. 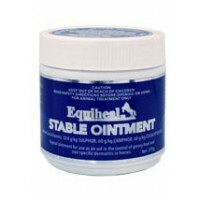 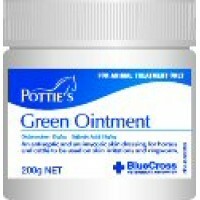 An aid in removing pus, dead and decaying tissue from wounds, ulcers, absce..
Topical anti-inflammatory analgesic roll-on gel to aid the reduction of acute swelling due to injury..
Equiheal Hoof and Sole Moisture Barrier Paste aids as a protective barrier against moisture related ..
A topical ointment formulated for the treatment of greasy heel and non-specific dermatitis in h..
Filta-Bac is an antibacterial, antisceptic and wound protectant cream with sunfilter for use on hors.. 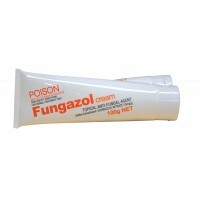 Prevents the formation of excess granulation tissue or 'proud flesh', especially on the lower limbs ..
Fungazol is a rapid onset, topical, broad spectrum anti-fungal agent for the treatment of ringworm a..
Greasy Heel Lotion can be used as a broad spectrum antiseptic treatment to prevent the spread o.. 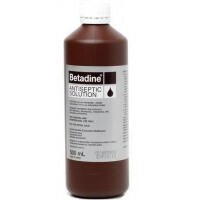 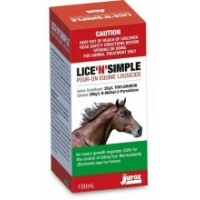 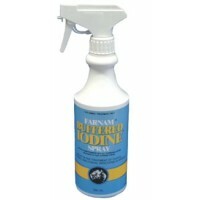 Wounds, cuts, abraisions, ringworm, skin disinfection before surgery or injections, disinfection of ..
Lice’N'Simple Pour-On Equine Lousicide is a Pour-on solution for the control of biting lice on horse.. 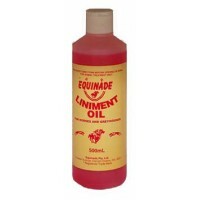 The long established and well respected liniment that assists in the treatment of strains and sprain..
An extra strong spirit embrocation for hard, fibrous and bony enlargements - splints, spavins, r..
A unique formular designed to stimulate the circulation of blood to joints and muscles which help to.. 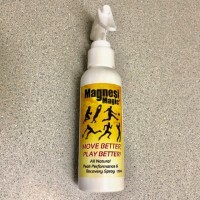 Accelerate recovery. 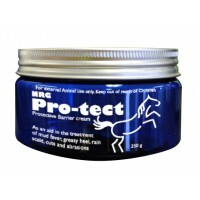 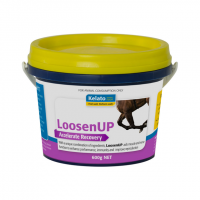 With a unique combination of ingredients, LoosenUP aids muscle and nerve f..
Pro-tect Barrier Cream is a physical barrier product for topical application to animals. 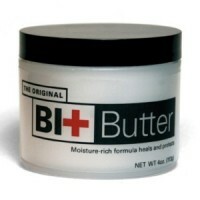 Based on o.. 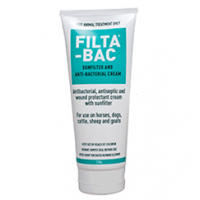 Skin & Ear Cleaning Solution Actions Promotes healing by cleansing and removing wax and ne..
An all round ointment for a broad range of skin conditions. 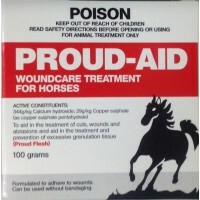 Active against bacterial and fungal infe..
Proud-Aid is a formulation to aid in the prevention and treatment of Proud-flesh. 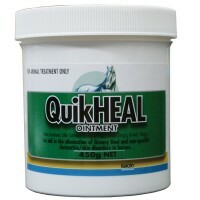 It also aids in th..
Topical ointment to eliminate greasy heel and other general skin disorders. 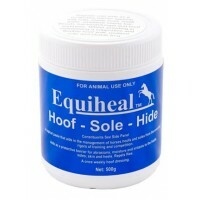 Greasy Heel is a fungal.. 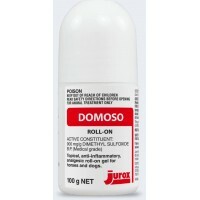 Product Benefits: Quit-Itch Lotion is a broad spectrum antiseptic skin treatment for skin care of do..
RAPIGEL provides a clean and easy method to deliver cold therapy to joints, tendons and muscles. 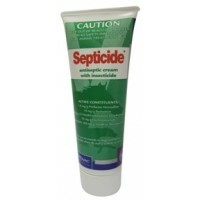 Rap..
Septicide is an antiseptic cream for general use on wounds in dogs and horses. 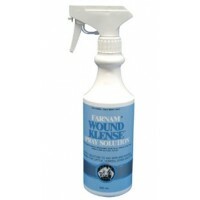 It also contains inse..
• eZall Sheath Cleaner is made from a key non-ionic surfactant system derived from soy, corn, palm a..
Antiseptic, nonirritant, nontoxic and nonstaining. 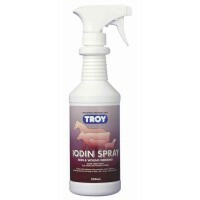 It is a broad spectrum antimicrobial agent. 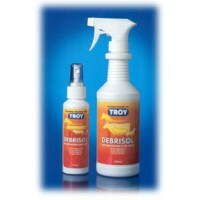 The i..
125g Aerosol Terramycin® Pinkeye Aerosol contains oxytetracycline hydrochloride 2 mg..
Broad spectrum antibiotic puffer pack for treating eye infections of animals. 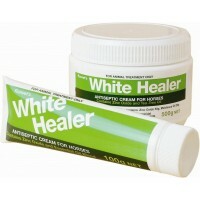 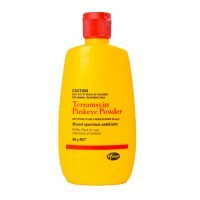 Directions for use: P..
A medicated spray that gives instant relief to chaffing skin, skin abrasion and girth, harness .. 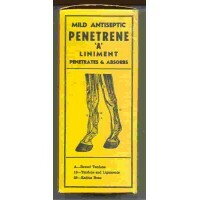 This invigorating, aromatic liniment is recommended to help relieve minor stiffness, soreness and in..
White Healer is an astringent and germicidal ointment for use as an aid in treatment of minor skin a..
Dressing powder and blood coagulant for use on wounds, cuts, abrasions and capillary bleeding Use.. 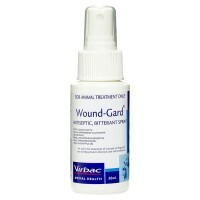 Wound Gard - Antiseptic, Bitterant Spray An aid in the treatment of wounds of dogs and cats to help..
For treatment and cleansing of cuts, wounds, ulcers and abscesses. 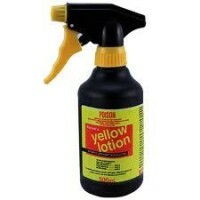 Helps in the regeneration of heal..
Ranvet's Yellow Lotion is an antiseptic, astringent wound lotion. 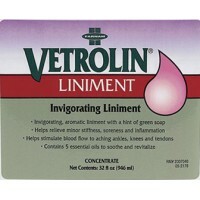 It promotes healing in granulating..